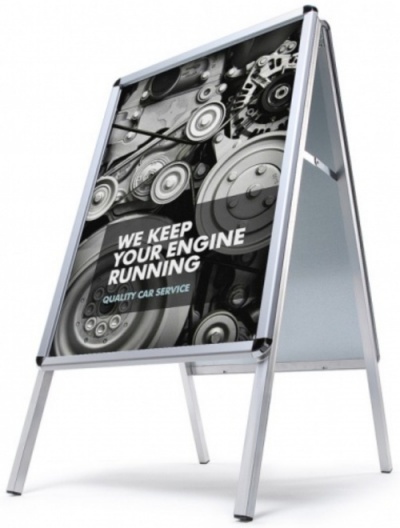 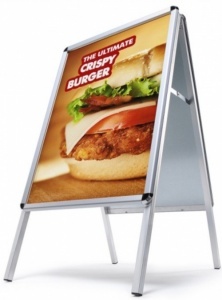 Our Snap Frame Pavement Signs / Poster Holders are available in a stylish silver double sided satin finish frame with chrome effect corners. 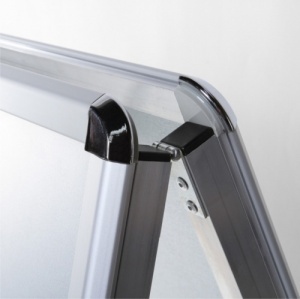 Featuring anti-corrosive back panels with locking side hinges they come with anti-glare protective covers with a high UV resilience. 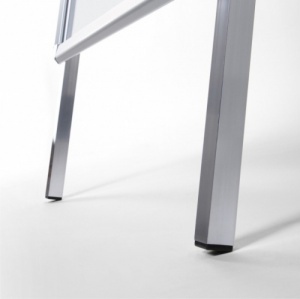 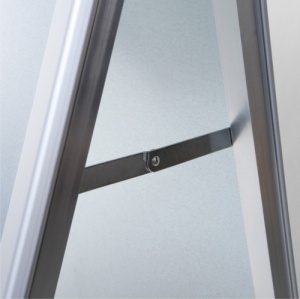 The Snap Frames are front opening 32mm aluminium profiles with chrome effect rounded corners for added safety. 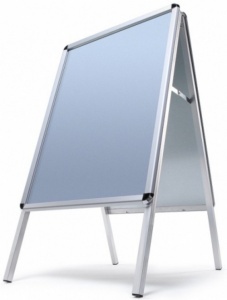 With a fold flat design they are easy to move and store.